I’m having a blast going through all of our pictures. It’s amazing (both good and bad) how quickly we are back in the rhythm of non-travel life. We’ve moved to the city, we have bills to pay, groceries to shop for, errands to run. Some of the stuff is fun, some of the stuff – like taking our 8 gallon garbage out to the garbage can in the alley in freezing temperatures I can definitely do without. It’s only been 4 short weeks since we returned from the Philippines and it feels like we were on this trip 5 years ago. There were times that I was annoyed with how many “takes” we had to get the perfect picture, but now sitting here I sort of wish we would have done that more often (sorry about that, Lindsay). Central America was NOT on our radar when we originally thought about traveling. In May as we were making our way north in Bolivia and Peru we could begin to see the path that would take us into Panama. Shortly thereafter we learned we could sail from Cartagena where Lindsay’s parents would be meeting us and bus easily into Costa Rica where we would meet my parents. It worked out perfect. The San Blas islands are one of my top highlights from the entire year and spending 10 days with my parents was awesome – we hadn’t had a family vacation in a long time. The pictures below are are our favorites not simply because they are awesome pictures of unique spots – but because of the memories they bring back. The captions are just as important as the pictures themselves. 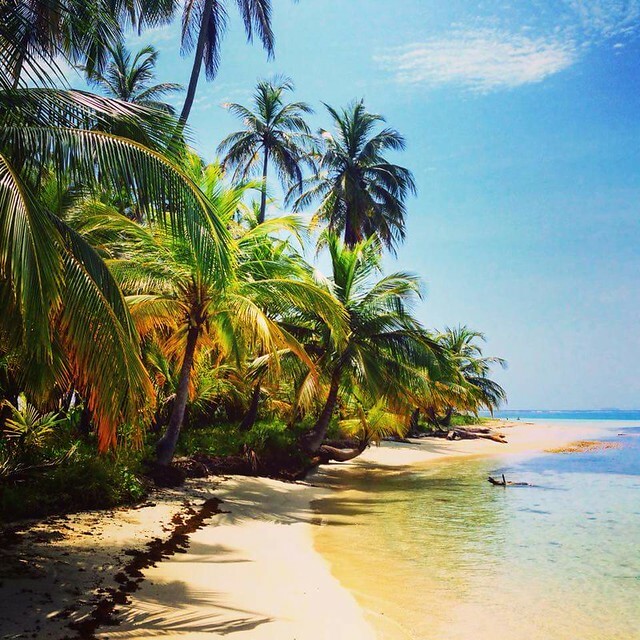 Ah…The San Blas islands. We didn’t take this picture – BUT – it was taken by the girls we shared the boat with, so we were here at this very moment. They had a good camera, we didn’t This is exactly what it looked like too. My favorite islands by far. 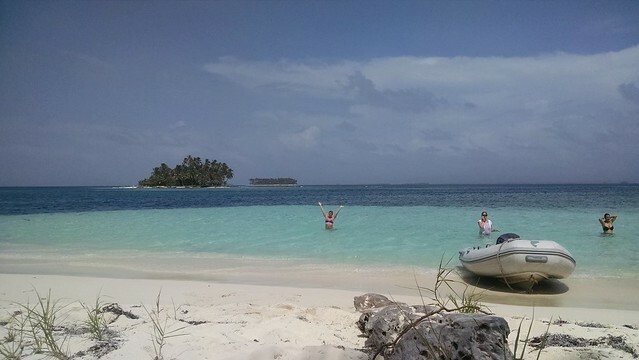 Here is what the San Blas Islands look like from our cell phone. I still love this picture because it shows the little island in the background, the dingy we drove in, Lindsay having a blast and the different color of the water as it gets deeper. 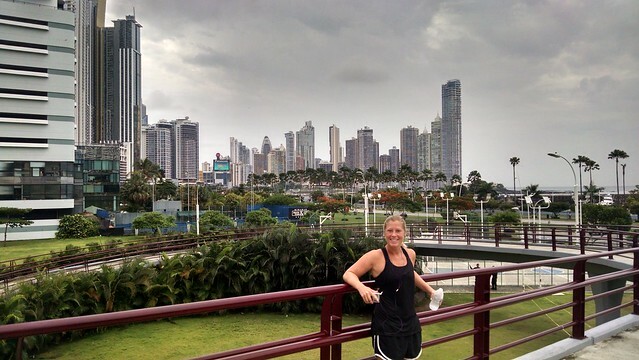 While not our sexiest picture – I did love our stop in Panama City (we saw the canal museum, but the pictures from there weren’t impressive at all). Back to this picture. It was the first time we ran for 10 miles during our training for the marathon. We were completely pooped, but the training would pay off. Still not out of Panama. This picture was captured at sunset outside of Firefly where we had an incredibly fun meal with our new friends from California. Miss those two. 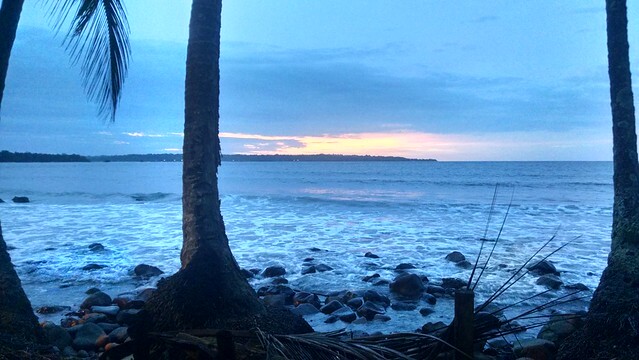 We did it all in Manuel Antonio. 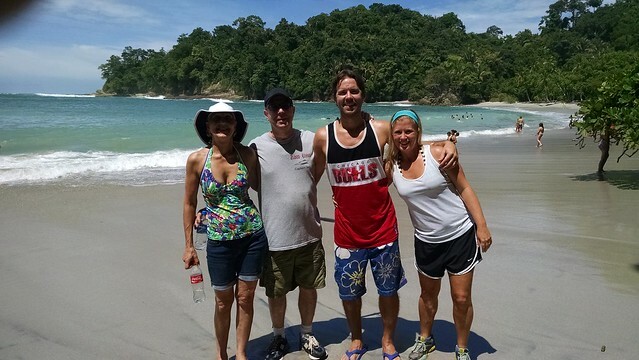 An ATV tour, zip lining, road trips, hikes to waterfalls, spice plantation tour and of course a tour of the world famous Manuel Antonio National Park where this picture was taken. The best part was spending the time with my parents. So fun. Lindsay and I decided to take a walk along the backside of Caye Caulker during sunset and we were damn glad we did. 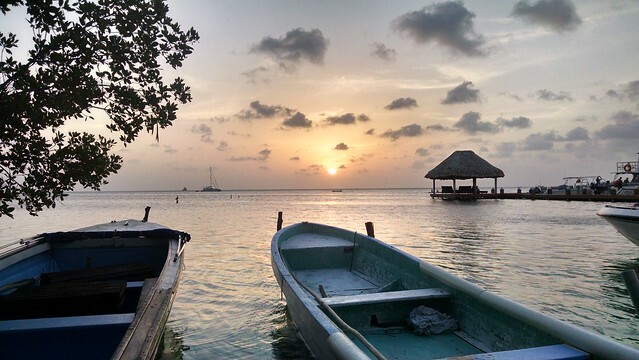 It’s the quiet side of the caye and we enjoyed 40+ minutes of sunset scenes just like this. One of my favorite pictures that I took of our entire year. Belize is well known for its snorkeling and diving – and rightfully so. 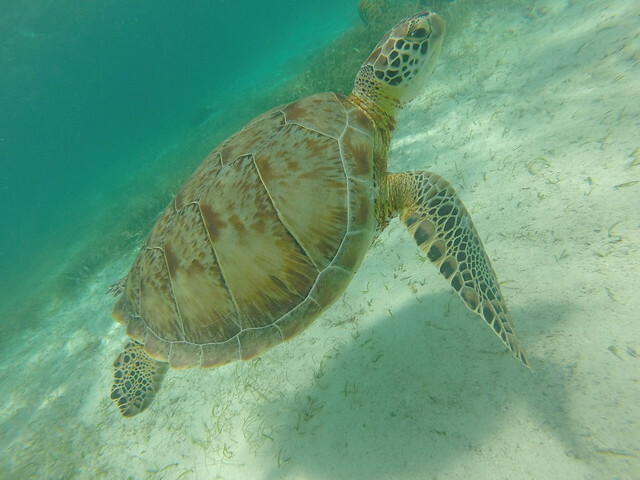 We swam with a group of turtles for what seemed like hours. All of the turtles I had seen in my life up until this point looked old and crusty. I remember telling Lindsay that every picture you see of gorgeous, clean turtles with their cool markings must be photoshopped. Then we saw this one and took the picture with an unfiltered GoPro and did no editing. 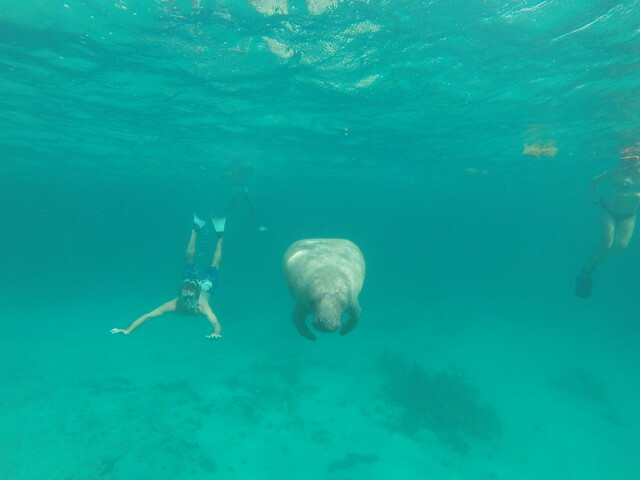 Swimming with a sea cow. AKA a manatee. This was a small one and it was still huge. 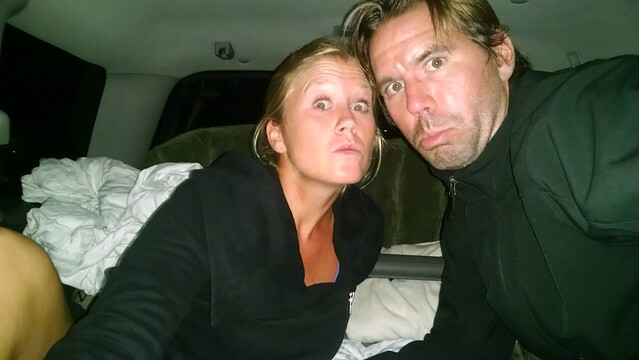 After Belize – and after 7ish months of being on the road – we headed back to the USA. Lindsay’s parents have a home in Cape Coral, FL where we did this above for two weeks. Read a book….on a raft…in the sun…while floating in the pool. You can’t see it in this picture but I can guarantee you that there is a real smooth margarita within a few steps of us. Relaxing here was a great way to unwind. Cape Coral isn’t exactly a town known for it’s young population. 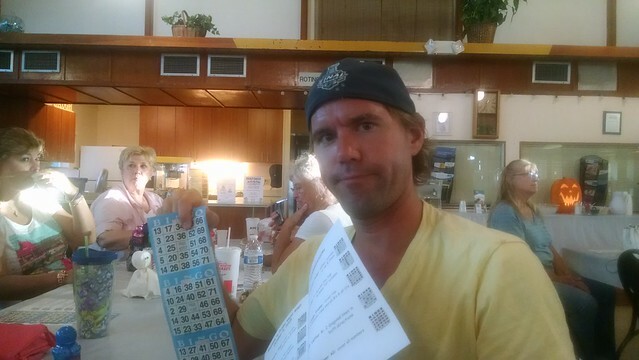 One of the top things to do is hit up one of the more than a dozen bingo halls. We decided to give our luck a try. Boom. We spent a couple of weeks in Chicago before departing on our USA road trip. It was great to catch up with family and make sure that our friends hadn’t forgot about us. 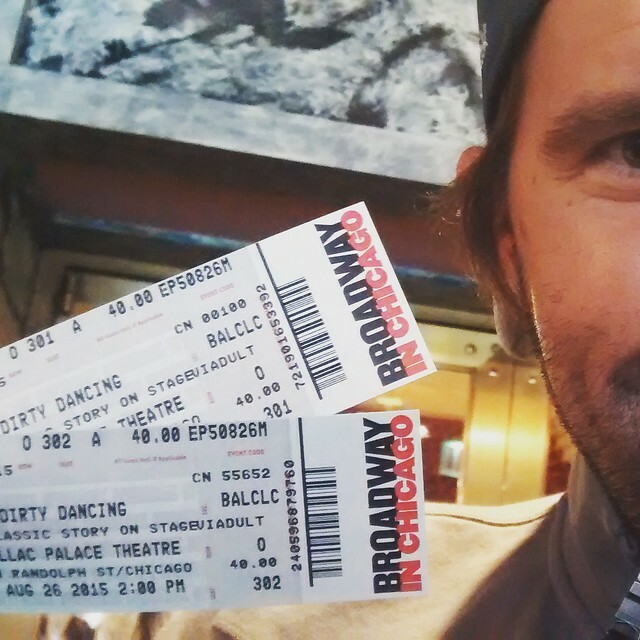 And of course we weren’t going to miss Dirty Dancing Broadway Chicago. Sorry Tori, but this show was pretty awful. I fell asleep twice and woke up disappointed – twice – that the show wasn’t over. 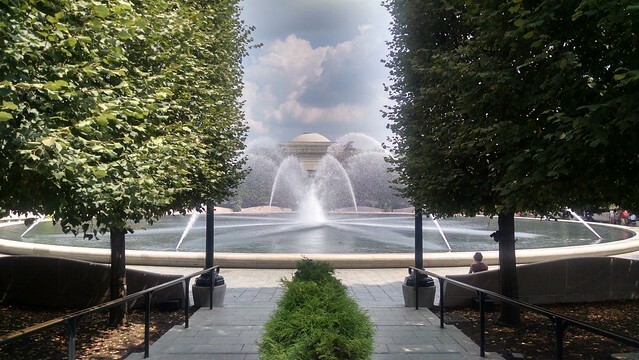 First stop on our road trip was Washington DC. That was an 11 hour non-stop ride from Chicago. I’m so glad that we stopped, Washington DC is incredible. You can spend a few weeks there. We spent 4 days and were overwhelmed. I’m looking forward to getting the opportunity to go back. If you’re wondering what exactly this picture is …I have no clue, but I like it. I had read and heard a couple of years back that Virginia had a really bumping wine trail and industry. The headliner, if you will, of Virginia wine is Barboursville Winery where this picture was taken. 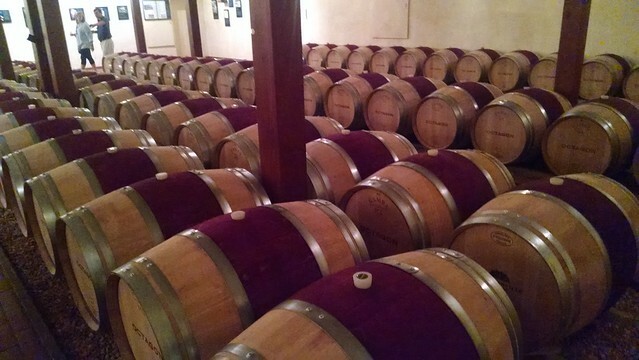 We visited 4 wineries and tasted plenty of wine. The countryside was beautiful, the people were great and the wine was delicious. There is so much history in the South. 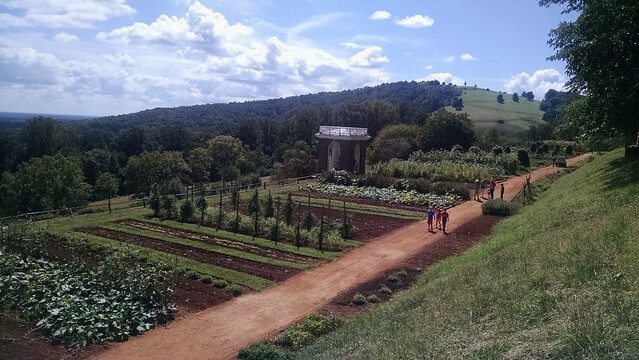 Just outside of Charlottesville is Thomas Jefferson’s house in Monticello. I have some mixed feelings about Thomas Jefferson, but there is no denying the grounds and the house were beautiful and cutting edge for his time. I was most impressed with the garden that was so big you couldn’t capture it in one frame. 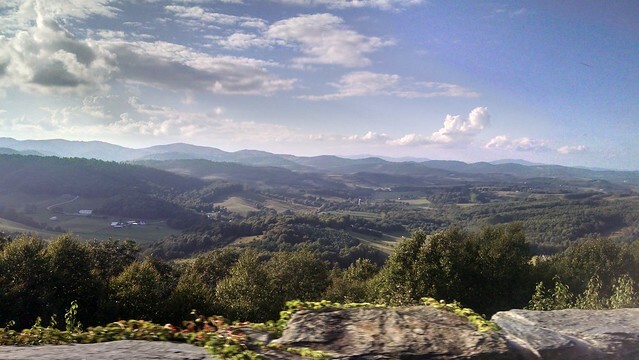 Shenandoah is considered one of the most beautiful drives in America. And so is the Blue Ridge Parkway where this picture was taken at a pull over. We did our best to compare the drives but the real conclusion is to visit them both. After spending a night in the car we decided to do our research and make sure we could get some real camping in. We are not campers. Not at all. But we had a blast. 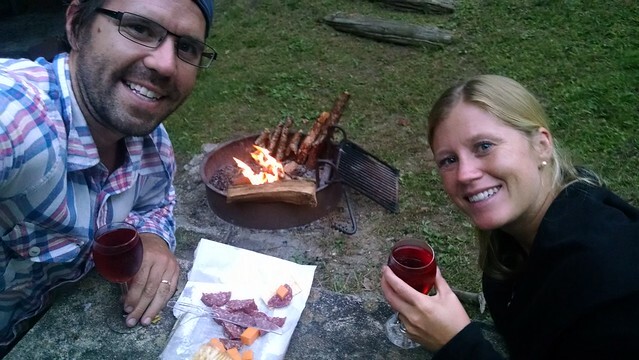 Cheese, sausage, wine and a fire. That’s a great night. Being inexperienced campers we were caught off guard at just how dark it gets at night. Made cleaning up that evening much more difficult. Our destination when we exited the Blue Ridge Parkway was Asheville, NC. This little city packs much more in than you would anticipate. Lindsay’s brother said we should try and catch a La Zoom Comedy Bus Tour. 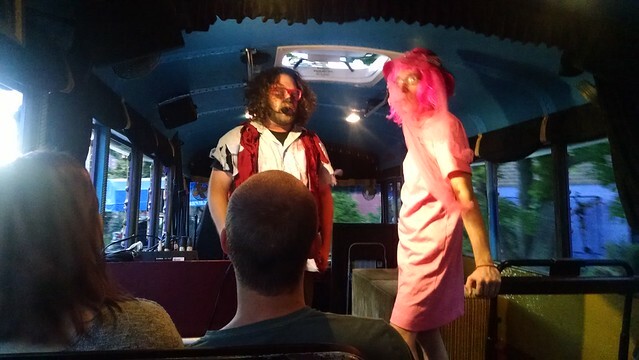 It’s BYOB and the “host” was dressed as a werewolf who has tormented Asheville locals for 1000s of years. In this scene he ran into an old fling played by another actor. I was cracking up the entire 1hr ride. Why in the world is this not in Chicago??? 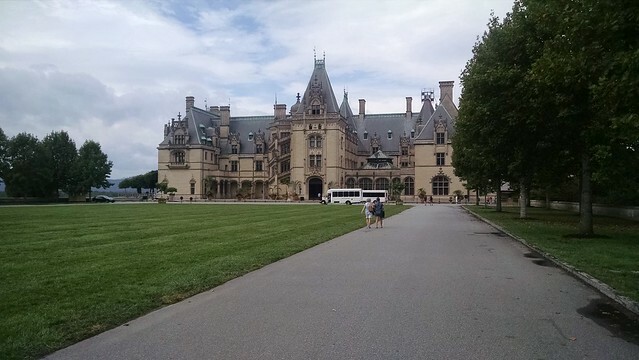 Just outside of Asheville is the Biltmore Estate. America’s largest mansion. Wow. If you didn’t think you were poor before the visit I’m sure you do now. They kind of nickel and dime you for a tour of the house but it’s worth the extra few bucks to get the audio tour. I thought the coolest thing was the tour of the first indoor pools in America. Heated by copper pipes, the water had to be changed every few days because they didn’t have the right chemicals back then to prevent growth of nasty stuff. 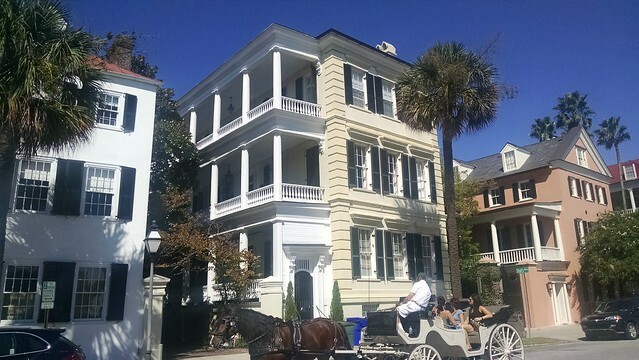 The South is littered with great small towns, including Charleston. We did a free walking tour and were impressed with the housing. The guide informed us the side porches on these beautiful homes are called palazzos and gave the residents a chance to get some fresh air and a breeze to beat the summer heat before A/C. How do you make what an OK situation great? 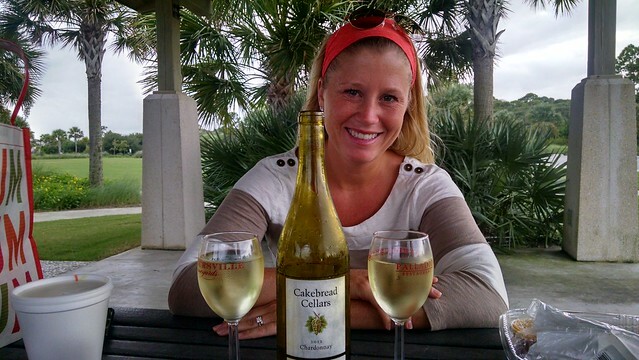 A couples bottles of Cakebread chardonnay. Thanks to Lindsay’s Aunt and Uncle we were well stocked for a dinner picnic on Georgia’s Jekyll Island. The waters around the island were gross – couldn’t swim, but they had picnic tables. That’s called taking lemons and making lemonade I think. Or also called not swimming and getting drunk. 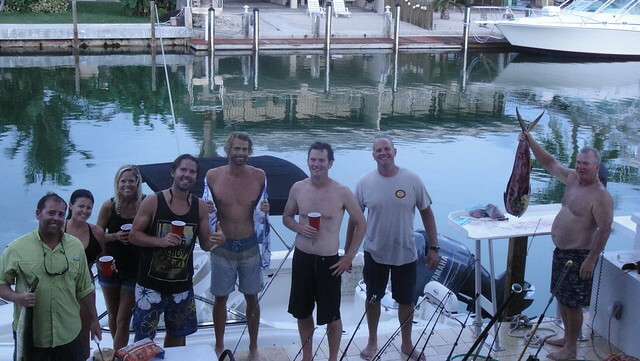 I miss the Florida Keys. Two weeks of fishing, lobstering, hanging out, cooking awesome dinners and soaking up the sun. 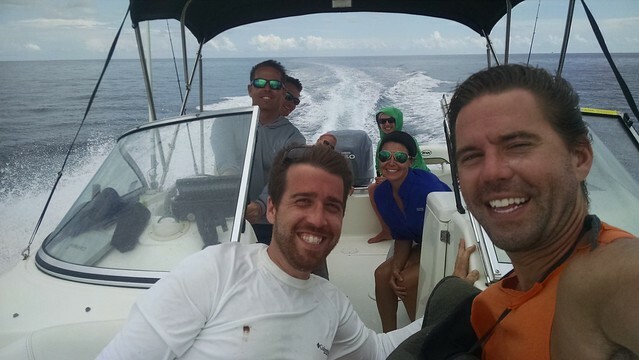 This is one of my favorite shots of the group on Ty Royal’s boat. We caught big fish. 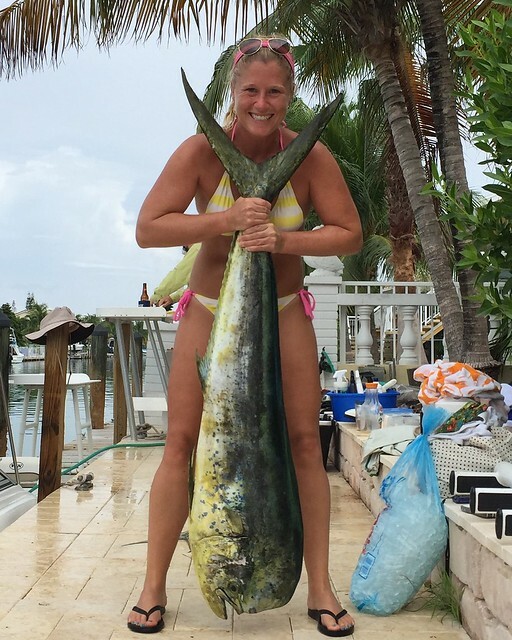 Mahi mahi. This one weights 25 or 30 lbs. And we caught quite a few. The group ate like kings and queens. So after spending the entire day on the water fishing the work has really just begun. The boat needs to be unloaded and cleaned, coolers have to be cleaned out too, the fish has to prepared as well. The process is typically a couple of hours long and can really determine how the night goes. This night went well. Look at all the red solo cups. And I love Rick of to the side randomly holding a large fish. 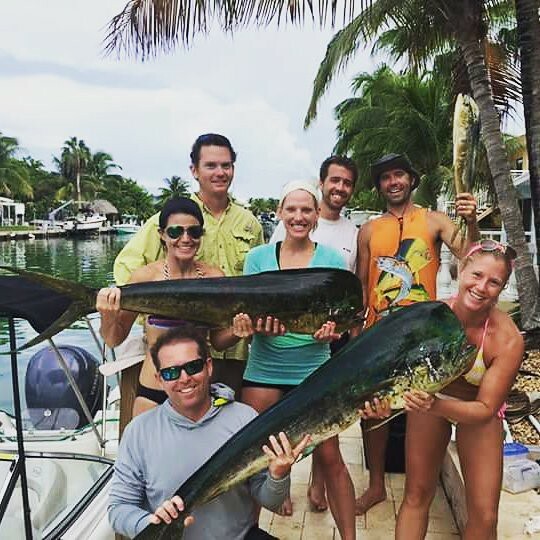 The fishing and lobstering are second to none in the Keys, but that is not all they have going for them. The beaches and scenery are top notch as well. 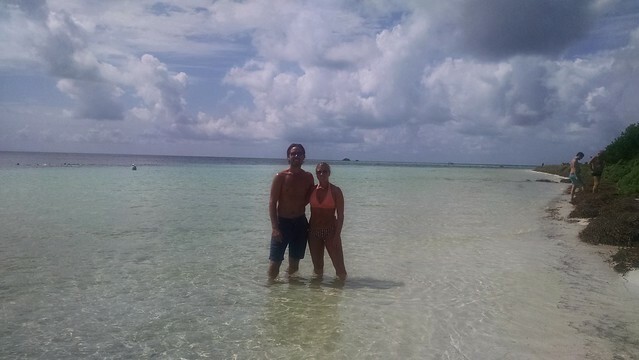 Lindsay and I celebrated our 4th wedding anniversary in 3ft feet of water at Bahia Honda State Park. All things considered this isn’t really an impressive picture. BUT it does remind me of Miami and we had so much fun there. On our way back from the Keys we stopped in Miami for a couple of nights for a surprise anniversary gift for Lindsay. 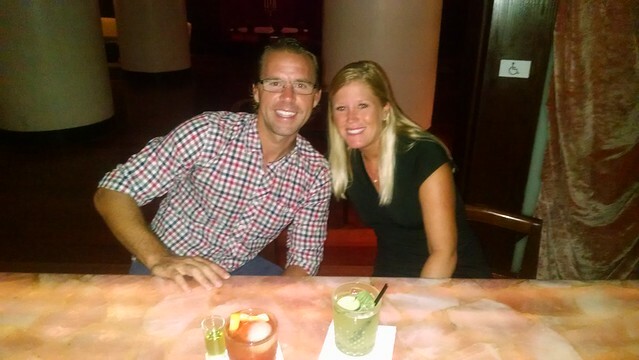 In this picture I am drinking the most expensive cocktail I have ever had. That little fucker cost me more than $50. Was it good? Oh sure. $50 good? I don’t think so! The main event of the Miami weekend was a visit to the Miami Zoological Foundation to spend a day with a variety of baby cats. 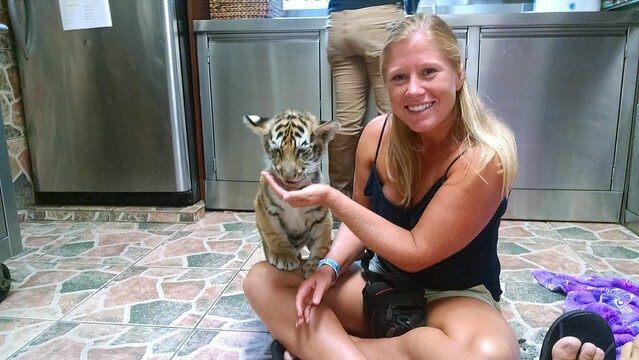 Our first stop of the day was in a small space that housed 2 baby tigers (~2 months old). They were so much fun.